We spent the afternoon at the library for a themed crafts event. After story time (Brave) the Mini Mes got to create a crown, an arrow book mark and then attempt archery which they were very good at. 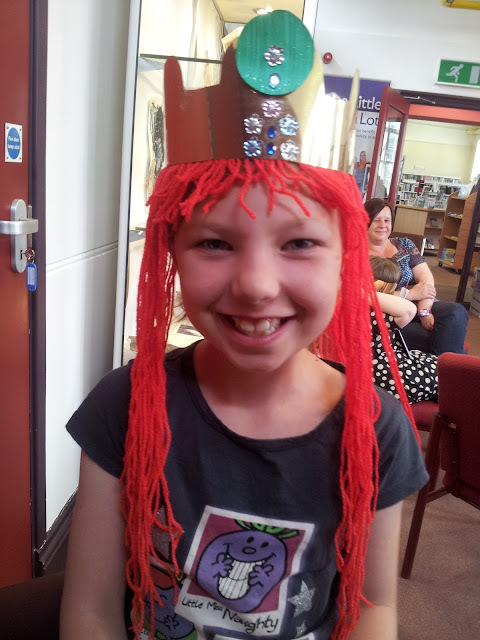 Here is Minxy in her crown complete with red Merida style hair!